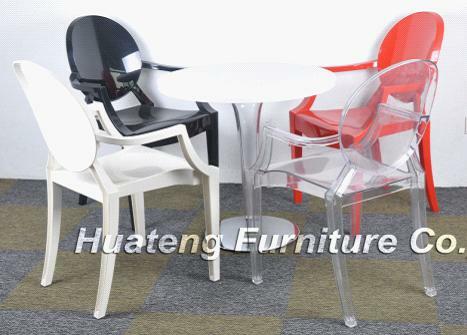 This table is made from round shaped painted MDF table top with plastic stunning frame and aluminum base. Square shape is also available. 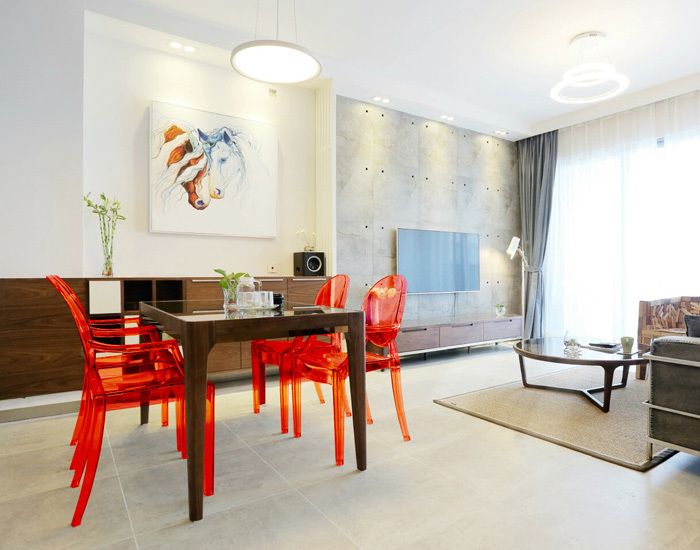 Designed by Philippe Starck in 2002, the ghost armchair is made of imported PC material, solid color and transparent color are available. 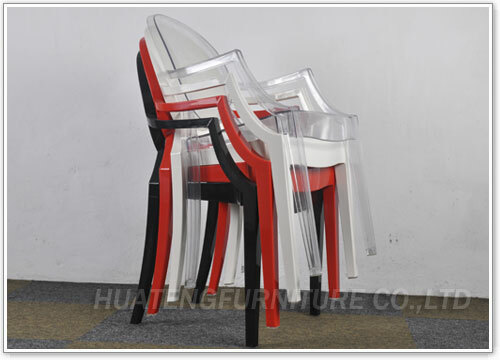 It's freely combined with the ghost table as per customer requirement, without armrest is also available. Could you please send your e-mail address to my E-mail:huateng@china.com? So that we can offer the price of the ghost armchair for your reference. Thank you!